Mr Waters brought with him a number of plants, including grapevine cuttings and olive trees. He was granted a large portion of land in South Guildford, where once cleared, began to plant the olive trees, hence the name Olive Farm. The vines were planted soon after, with wine being produced once the vines were bearing fruit. Mr Waters used the wine to barter with local shopkeepers in town for a range of goods. An underground cellar was dug out by Mr Waters, which still stands today and was used as the cellar sales outlet. The Yurisich family took ownership of Olive Farm Wines, when my great grandfather, Ivan Yurisich, bought the property. Ivan and his wife had immigrated to Australia around the turn of the century from Yugoslavia, with nothing but the clothes they wore. Ivan tried his luck in the goldfields before working on numerous wood lines in outback WA. In 1933 Ivan purchased Olive Farm and tried his luck at winemaking, using skills he had learnt in Yugoslavia by watching the locals. The wines originally produced by Ivan were fortified wines that were sent out to the goldfields in small oak casks. Ivan’s son Vince took over the business in the early 1960’s and introduced a range of new winemaking techniques. Vince was one of the first winemakers in WA to produce a Traditional Method Sparkling Wine. He was also one of the first to use cold fermentation techniques and selected yeast strain fermentations. Bulk fortified wines were predominantly produced by Vince, before introducing bottled table wines in the mid 1970’s. Vince was very successful in the Perth and Swan Valley wine shows, picking up numerous awards for a range of his wines. Vince’s son, Ian was the first of the three generations to have any formal education in winemaking. Dad (Ian) attended Roseworthy Agricultural College, in South Australia, where he completed his formal winemaking education. He met his wife to be, Judi Nickolai, while he was in South Australia. Once dad had completed his course, he returned back to the west and took over the reins from Vince in 1981. While dad was running Olive Farm, he was very busy in expanding the business. The small winery and cellar door sales were transformed into a much larger winery, with an amazing limestone cellar constructed for a restaurant and also a magnificent function centre. He also purchased a block in the Swan Valley, where he and Vince developed close to 40 acres of vines. The cafe and function centres were built to aid the sale of our wines, but after a while the hospitality side of our business dominated our lives. The winery and vineyard became a job to do in dad’s “spare” time, with the cafe and function centre demanding continuous managing. 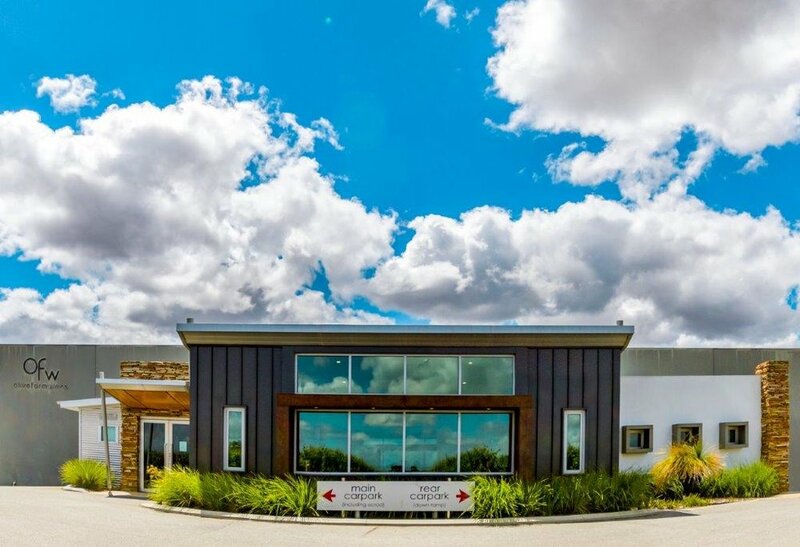 This led us to deciding to get out of the business in South Guildford completely and build a brand new, winery and cellar sales (ONLY) outlet in the heart of the Swan Valley. There was a couple of years lag time between when we stopped making wine in South Guildford until we opened our doors up at our new winery, but we think it has been worth the wait. Our new winery was designed by my younger brother, Michael. I have been working in the winery with dad since graduating in 2003.